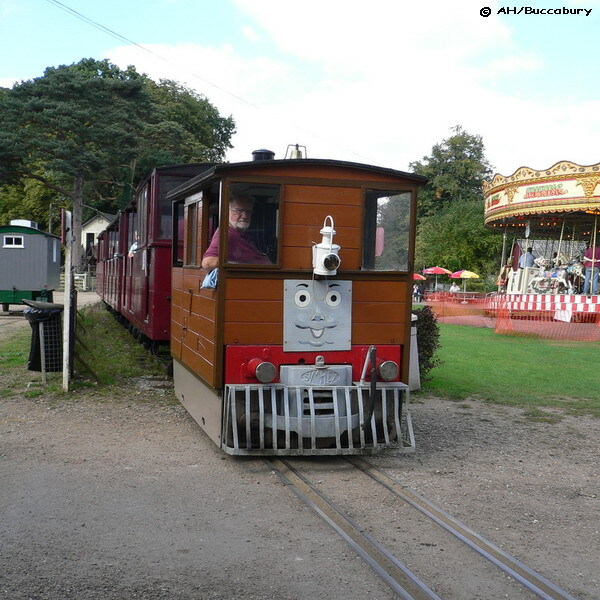 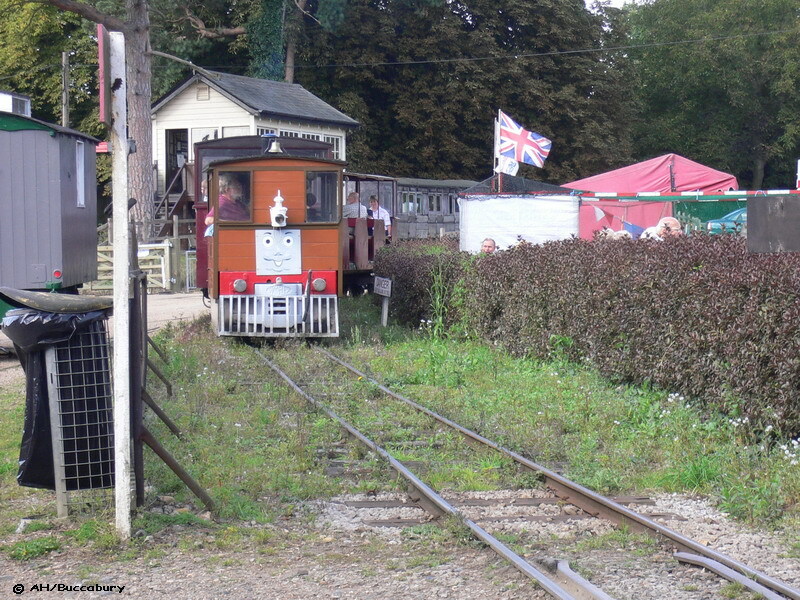 Bressingham Gardens & Steam Experience - Outside The Main Shed. 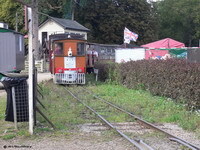 Motor Rail 'Simplex' 22210/1964 rounds the bend just after the station, passing the Steam Galloper roundabout. 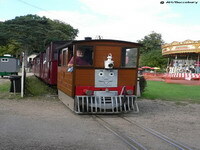 Motor Rail 'Simplex' 22210/1964 trundles past the Steam Galloper roundabout.